Oral appliances are gaining traction across patients with obstructive sleep apnea, the most popular type of apnea. The disease is characterized by recurrent episodes of cessation of nocturnal breathing due to impairment in upper airway while in sleep. The episodes substantially affects the functioning of vital organs and the disorder is associated with significant cardiovascular morbidity and mortality in global populations. Oral appliances are dental-fitted devices that have soared in popularity over the past decade as a potential alternative to continuous positive airway pressure therapy (CPAP) world over. Their rising acceptance can be attributed to the marked convenience and comfort the oral appliances bring to patients. That aside, the higher compliance rate of oral appliances with the patients than any corrective surgeries, including the CPAP, has stoked the popularity of these devices. They are being increasingly recommended for mild-to-moderate form of obstructive sleep apnea. One of the most common of them is mandibular advanced splints (MAS). Most sleep apnea oral appliances are considered safe with negligible side-effects. MAS rectifies the function of upper airway muscles in patients, thereby reducing the risk of sleep apnea events. In recent years, there have been several randomized trials evaluating the safety and efficacy of various sleep apnea oral appliances on patients. These developments are catalyzing the expansion of the market. Researchers are focused on developing sleep apnea oral appliances that markedly reduce daytime somnolence, helps in better managing the nocturnal as well as diurnal blood pressure control, and are compliant with a larger patient population. 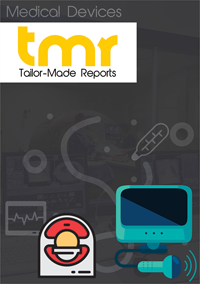 The sleep apnea oral appliances market also witnesses the rising demand for modern devices, particularly tongue-retaining devices. However, the market awaits more clinical research and studies to evaluate the efficacy of these devices to ascertain how do they fare against MAS. The larger goal would be to increase their efficacy to match the level of CPAP. With respect to numerous associated factors, the global sleep apnea oral appliances market has been thoroughly covered in the report. Some these factors which are comprehensively described in the report are chief growth drivers, prime restraints, competitive analysis, geographical outlook, and latest trends and opportunities. The compiled study covers a forecast that extends from 2017 to 2025. This study acts as a valuable insight for businesses which are already operating in the global sleep apnea oral appliances market, as well exists as a helping hand for those who intend to newly establish themselves in this environment. The report also prognosticates the market to witness extensive growth during the forthcoming years. Prime market dynamics associated with key trends are also detailed in the study. The global sleep apnea oral appliances market is mainly segregated into several segments on the basis of product, type, and region. Under product, the market consists of mandibular advancement devices and tongue retaining devices as primary segments. On the basis of type, the global sleep apnea oral appliances market consists of physician-prescribed/customized oral appliances and online OTC oral appliances as key segments. A rampant surge in sleep apnea all over the world owing to changing lifestyles, rising geriatric population, and increasing stress levels among the masses are key reasons driving the global sleep apnea oral appliances market. Another factor making this market witness substantial expansion involves widespread technological advancements occurring in terms of improved oral appliances. The awareness about sleep apnea and its treatment is gradually rising, consequently propelling the global sleep apnea oral appliance market to depict outstanding growth. However, high costs setting up medical equipment for treating sleep apnea exists in the form of steep medical fees for patients and their kin, thus making many people refrain from opting for the treatment processes. This has been substantially hindering the market’s growth from a global perspective. Nonetheless, several companies are trying to expand their presence from a geographical perspective as well as introduce cost-effective treatments. These factors are anticipated to reduce the effects of restraints substantially. From a regional perspective, this market is segmented into North America, Asia Pacific, the Middle East and Africa, Europe, and Latin America. Of these, North America grabs the lion’s share in terms of revenue gained thanks to the presence of a strong healthcare infrastructure and rapidly increasing cases of sleep apnea among the masses. A favorable reimbursement scenario facilitated by governmental bodies as well as other organizations has also made the market grow extensively in this region. Apart from North America, the next few years are also expected to depict Europe to grow at a rapid pace in the global sleep apnea treatment market owing to rising sleep apnea cases and high demand for treatment processes with this malady. This market mainly depicts the existence of a highly fragmented and competitive vendor landscape, majorly due to the presence of innumerable players. Bringing about widespread innovations and development efficient treatments are prime strategies implemented by most businesses working in global sleep apnea oral appliances market. Most businesses have been operating in this market for numerous years, and have relied on carrying out extensive research as a key tool for attracting success. However, several local players are witnessing a substantial cutthroat competition owing to a mammoth influence cast by the larger players present in the market. Airway Management, Panthera Dental, ResMed, OravanOSA, Whole You, Myerson, SomnoMed, DynaFlex, Oventus, and Apnea Sciences are key players operating in the global sleep apnea oral appliances market.